new venue ~ new itinerary ~ new entertainment & More. Parking for disabled, musicians, vendors & volunteers only is at the Park on Jennifer Drive. Parking for the general public will be in various areas around Bible Hill and beyond. A courtesy bus will be available throughout the day to transport from parking to the games. Ceilidh Dance - $15 - limited amount of tickets and available for pre purchase below. 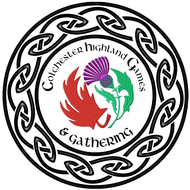 Come join us for our Annual Ceilidh Dance Party after the Highland Games.